The fastest growing jobs in the USA are within several industries. Many of these jobs have education, training, certification, or experience requirements for new hires. Employers seeking to find candidates with the requisite qualifications benefit from using pre-hire assessments in their talent recruiting process. Pre-hire assessment tools may identify viable candidates in other parts of the country, or even outside the USA. Employers can use relocation services to attract viable candidates who might need to relocate for the position. The Occupational Outlook Handbook published by the United States Department of Labor, Bureau of Labor Statistics, lists the fastest growing occupations. According to the Handbook, 20 occupations will experience the highest increase in growth over the time period 2016-26. The fastest growing jobs include several within the Medical and Science, Technology, Engineering, and Math (STEM) industries. These jobs often feature the ability to work flexible schedules, or to work on a limited assignment. In fact, the rise in short term assignments in healthcare has been due in part to the challenge of finding candidates with the requisite qualifications. Many healthcare companies have been able to attract highly qualified candidates who want to travel to new locations on a regular basis with short term assignments. Often, the fastest growing jobs are also those that have the highest rates of pay. For example, many Information Technology jobs offer exceptionally high salaries. Within Information Technology, jobs may feature data insight or engineering functions, indicating a wide range of opportunity in this industry. The USA’s labor force is undergoing changes that create demand for several of the fastest growing jobs. Slower labor force growth means the labor force will continue to increase in age. Workers who are 55 or older are projected to grow to nearly 25% of the entire labor force by 2026. The increasing age of the labor force and the nation’s population means healthcare practitioners, support, and technical occupations will be the fastest growing jobs through 2026. The aging population along with longer life expectancies and growing rates of illness will continue to increase demand for healthcare services, and in turn, healthcare jobs. Employers should expect that the fastest growing jobs will lead to greater competition for qualified candidates. Employers should also expect that they may need to expand their talent recruiting programs to search beyond traditional venues, including outside the USA. Employers should review their talent recruitment programs to determine if they need to enhance their relocation policy to better focus on attracting new hires to open positions. 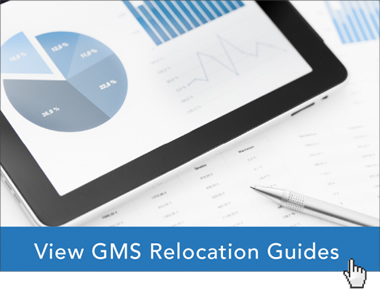 Employers should ensure their relocation policies reflect industry best practices. In industries experiencing significant growth, employers should review their talent recruitment programs and relocation policies. They should look into enhancements that highlight the organization’s growth and opportunities. They should also review their programs and policies to highlight the potential for the candidate’s future career growth and success. Global Mobility Solutions’ team of corporate relocation experts has helped thousands of our clients with their talent recruitment programs and relocation policy needs. We can help your company understand how to design your relocation policy to reflect industry best practices and highlight your organization’s growth and opportunities to attract new hires. Learn how your company can benefit from programs and policies that are designed to attract qualified candidates from Global Mobility Solutions, the relocation industry and technology experts who are dedicated to keeping you informed. Contact our experts online or give us a call at 800.617.1904 or 480.922.0700 today.